34. A noble Picture of the famous Duel between Paul Manessi and Caragusa the Turk in the time of Amurath the Second; the Turkish Army and that of Scanderbeg looking on; wherein Manessi slew the Turk, cut off his Head and carried away the Spoils of his Body. He was thinking of a painting on the order of this, or this. I sent this item to the Byzantine list and a couple of correspondents, and asked for help with the incident. One of my correspondents, Pavlos from London, immediately sent back a link to this passage from Knolles' History of the Turkes (1638). I have added some paragraphing. Mustapha [general of the Turks] having many times in vain sought to draw the garrison souldiers out of their trenches, by offering them many opportunities of advantage, and now out of hope that way to circumvent them, began to spoil and burn the country round about: but when he understood by his scouts of Scanderbegs comming, he speedily called together his army, and incamped within two miles of Scanderbegs camp, at a place called Oronoche, in the upper country of Dibra. Scanderbeg had there in his Camp, of the garrison soldiers and those he brought with him, 4000 horsmen and 2000 foot, all old expert souldiers, where after he had made his trenches strong, he left therein 300 of them, and brought the rest into the field in order of battell. Mustapha likewise on the other side likewise brought on in good order his army also. But whilst both armies thus stood ranged one within view of an other, expecting nothing but the signall of battell, suddenly a man at arms in gallant & rich furniture, issued out of the Turks army, into the midst of the plain betwixt both armies, and from thence with a loud voice challenged to fight hand to hand with any one of the Christian army: this Turk was called Caragusa. At the first Scanderbegs souldiers upon this challenge stood still, one looking upon another; for as they were all ashamed to refuse so brave an offer, so the danger so suddenly offered staid every mans forwardnes for a while: until that one Paul Manessi, accounted the best man at arms in Scanderbegs army (upon whom every mans eye was now cast, as if hee had beene by name called out by the proud Challenger) not able longer to endure the Turks pride, with great courage and cheerful countenance came to Scanderbeg, requesting him that he might be the man to accept that challenge. Who greatly commended him, and willed him on Gods name to set forward, first to win honor to himself, and then to give example of his valor for all the rest of the army to follow. Paul staying a while, untill he had for that purpose most bravely armed himself, presently mounted to horse, and riding forth into the plain, called aloud unto the Turk, that he should make himselfe ready to fight. Whom Caragusa required to stay a while, that he might speak unto him a few words, indifferently concerning them both. Caragusa marvelled to heare his so brave resolution, and as it was thought repented him of his challenge. But after both the Generals had upon their honors confirmed the lawes of the combat before rehearsed, both the champions were left alone in the middest of the plain betwixt both armies, with all mens eies fixed upon them. Now both the Armies betwixt fear and hope, stood in great expectation of the event of the combat, presaging their own fortune in the fortune of their Champions. In which time they both having withdrawn themselves one from another a convenient distance, for the making of their course, and after with great violence running together, Caragusa was by Manessi at the first incounter struck through the head and slain. Maneßi alighting, disarmed the dead body & struck off his head; and so loded with the armor and head of the proud challenger, returned Victor of the Army, where he was joyfully received and brought to Scanderbeg, of whom he was there presently honorably both commended and rewarded. Scanderbeg seeing his men by this good fortune of Maneßi, greatly encouraged, and the Turks as men dismaied with the death of their Champion, hanging their heads, like an invincible Captaine, himselfe set first forward toward the enemy, as it were in contempt of their multitude: and had charged them as they stood, before they had set one foot forward, had not Mustapha to incourage his soldiers, with certain disordred troups opposed himselfe against him; which the whole army seeing, faintly followed: but as they set forward with small courage, so were they at the first incounter easily driven to retire. 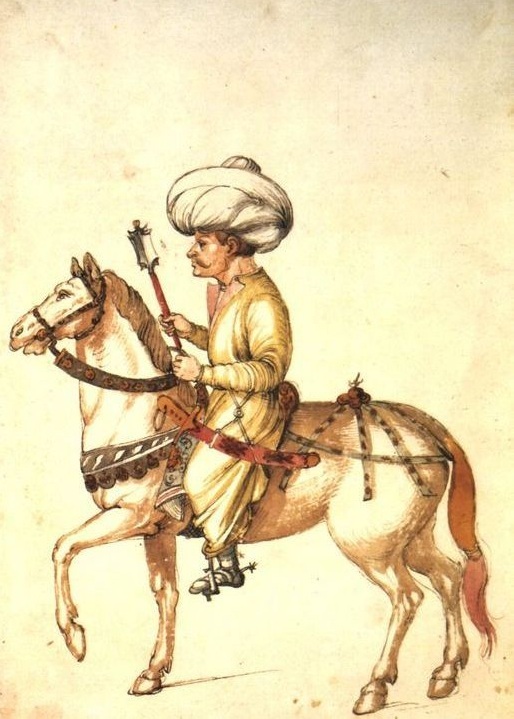 Which when Mustapha say, he called earnestly upon them to follow him, and the more to encourage them by his own example, put spurs to his horse, and fiercely charged the front of Scanderbegs army, as one resolved either to gaine the victory, or there to die: after whom followed most of his principall captains of his army, which would not for shame forsake their Generall: thus by his valor the battell was for a while renewed. But Moses prevailing with great slaughter in one part of the Army, the Turks began to fly: in which flight Mustapha the Generall, with twelve others of the chiefe men in that army, were taken prisoners, but of the common souldiers few were saved. There was slaine of the Turks army ten thousand, and fifteene ensignes taken; whereas of the Christians were slaine but three hundred. The Turks tents and campe, with all the wealth thereof, became a prey to Scanderbegs soldiers: wherewith although he had satisfied the desires of them all, yet to keep his old custom, he entred into the confines of Macedonia, and there burnt and spoiled all that he could. And afterward leaving a garrison of two thousand horsemen and a thousand foot for defence of his frontiers, returned again with the rest of his army to the siege of Dayna. A portrait of William of Moerbeke -- or Moerbeek, Morbecca, Morbeka, Morbeto, Morbekanum, Morbecha, or Merbaka, no monotony in spelling here -- must be compiled from fragments and hints. A personality always on the verge of taking shape, he is never fully visible: identifiable because of the shape that fits the hole left at the convergence of events. Little is sure about the man, beginning with the date he was born and ending with the date he died. It is not certain that he was from Moerbeke. William was a Fleming, born about 1215, or 1230, in the province of Brabant, (probably) in Moerbeke, now a small town in the flat farmland of central Belgium. (His father was a knight or a merchant or a stone cutter or a weaver. His mother died at his birth, or she had eight children after him, or she owned the village bakeshop.) Nothing is known of his family or of the influences that directed him to the Order of Preachers. He joined the Dominican order at Louvain or Ghent, in the Dominican province of Teutonica. As an exceptional young scholar, he was sent to continue his studies in Paris, and in 1243, was invited to Cologne to study with Albertus Magnus. Somewhere Moerbeke studied Greek, learned it thoroughly, and later, according to his friend Witelo, acquired a knowledge of Arabic. He probably began his study of Greek in Paris. The Order of Preachers may have sent him to Thebes for the purpose of learning Greek -- they were highly concerned with language training -- but evidence for his residence there is not sure until 1260. 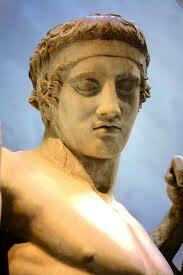 If he was born about 1215, he would have been about forty-five, which is very late to begin classical Greek. (I attest to this from painful experience.) If he was born about 1230, he would have been closer to thirty. One of his teachers may have been the Dominican friar, Bartolomeo, who wrote in 1252 a treatise for the use of Dominicans in Greece. Not sure -- if -- may: just about everything that can be written about Moerbeke requires those words. Moerbeke's primary reputation is for having acquired and translated various Greek manuscripts, especially Aristotle, for the use of Thomas Aquinas, and you can read about that on the interwebs. He was appointed Archbishop of Corinth and so is next associated with the lovely Church of the Dormition of the Virgin in the flat countryside of the Argolid, at the town of Merbaka. 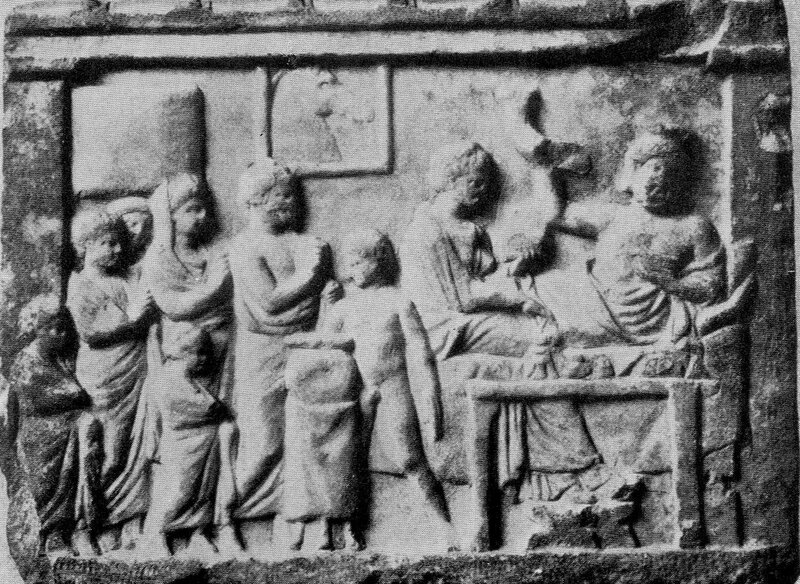 The name of Merbaka has long been thought to have come from his, Moerbeke, but there has never been solid evidence for that until Guy Sander's recent work on the spolia of the church (first recorded by Cyriaco of Ancona). Someone has written a dissertation on Moerbeke and the church, but this person will not allow it to be read "because someone might steal my ideas." 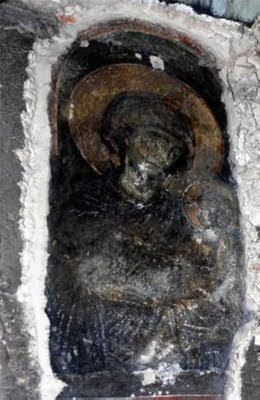 I have been told that this person claims Moerbeke built the church as a burial chapel for himself, but if there is actual evidence connecting the burial chamber with Moerbeke, the evidence has not been made available. We have no idea if or why Moerbeke thought he wanted to be buried in the Argolid. What most interests me about William is what appears to be a shadow career as diplomat and intelligence agent, made possible because of his closeness to a series of popes, and because of his deep familiarity with Greek and Greece. This career is mostly speculation, and has to be teased out from coincidences of dates and places. 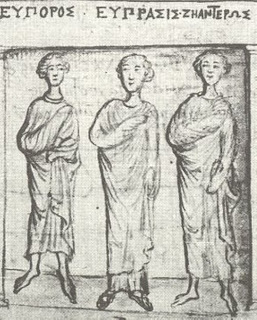 In April 1260, Moerbeke was in Nicea, captial of Byzantium-in-Exile. The previous year, in September 1259, Michael Palaiologos had defeated the knights and barons of the principality of Achaia in battle at Pelagonia. They followed the retreating Franks as far south as Thebes which they pillaged. How this affected the recently-established Dominican House at Thebes is unknown. Presumably, Moerbeke saw something of events. Very nearly all of the knights and barons of Frankish Greece, with the exception of Guy de la Roche who had been in Paris, including William Villehardouin, Prince of Achaia, were under house arrest in Nicea while details of their ransom were worked out. A major Moerbeke scholar suggests that Moerbeke was sent with a commission to negotiate the release. That is as may be, but we do know he looked at manuscripts. 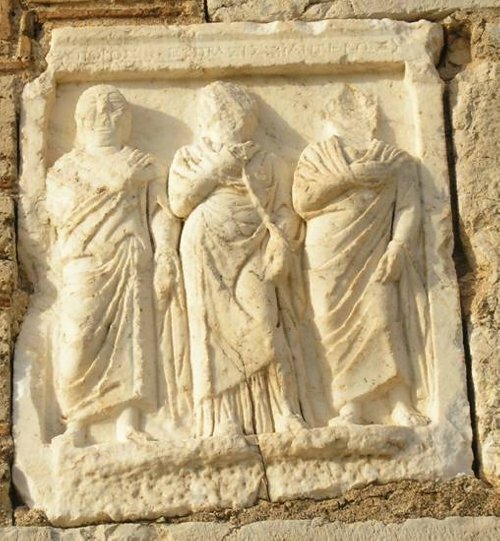 Nicea was the place he would have met Greek scholars in his fields of interest: students of Niceforos Blemnmydes who taught mathematics there between 1224 and 1236, or the metropolitan, Eustratios, who wrote a commentary on the Nichomachean Ethics. He completed three translations in Nicea. The first, Comentary on the Meteorology of Aristotle by Alexander of Aphrodisias is dated 24 April 1260 “apud Niceam urbem Grecie,” and as such, is the first documented date for Moerbeke that we have. In Nicea, then, he would have met William Villehardouin and other Franks from Achaia, Athens, and Thebes, setting a foundation for information. He may have met Villehardouin’s (probably) half-brother Theodore, Patriarch of Antioch, an acquaintance of Michael Palaiologos. Nicea was the place to observe alliances and collect information. The Byzantines were in the midst of negotiations with Charles of Anjou and the Papacy, on the brink of their reconquests. Michael Palaiologos took Constantinople the next year, in 1261, and the dreary Latin Empire of Constantinople came to an ignominious end. 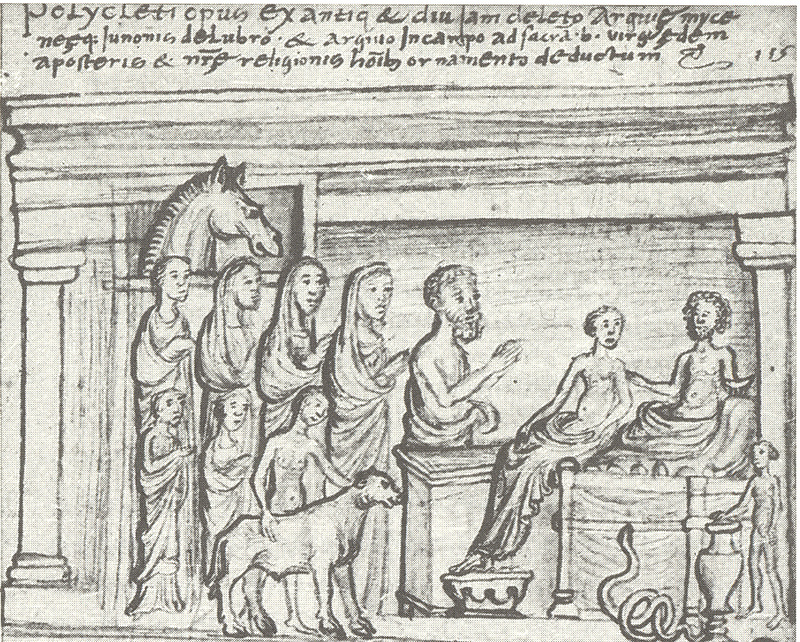 Moerbeke returned to Thebes where he completed a translation of De partibus animalium by Aristotle, dated 23 December 1260, “anno Domini 1260 decimo Kalendas Ianuarii Wihelmus interpres.” It is likely that he was in Thebes in May of 1262 when William Villehardouin met there with the Venetians to settle his war with his in-laws, the Triarchs of Negroponte. The next date we have for him is 1266, when we was in Orvieto. At Orvieto he came to the attention of the Dominican Pope Urban IV who had a particular interest in Aristotle and in 1263 endorsed the Church’s desire for a new and correct version of Aristotle. Thomas Aquinas had arrived at Orvieto in 1262. Fortified with Aquinas’s treatise, Contra errorum Graecorum, (and certainly background information from Moerbeke) Urban IV entered into negotiations with Michael VIII on questions of political and church union. When Urban died in 1264, he was succeeded by Clement IV (1265-67), Charles of Anjou’s candidate at the conclave. Anxious about the Hohenstaufens, Clement made use of Anjou as a counterweights, appointed him senator of Rome, and encouraged him to attack Manfred. After the defeat of Manfred at Benevento in 1266, Clement recognized that Angevin ambition and aggression were more of a present reality and future threat to the balance of powers than the Hohenstaufens had ever been. 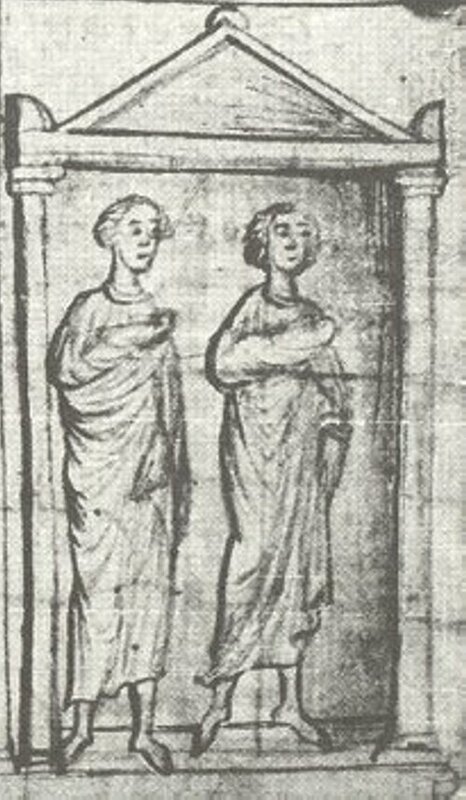 In May 1267, Clement concluded two treaties for Charles of Anjou, now King of Naples and Sicily: one between Anjou and William Villehardouin, Prince of Achaia; the other between Anjou and Baldwin II, ex-emperor of the Latin Empire of Constantinople. Typically, these were family arrangements among the principals. Villehardouin’s older brother had married Baldwin’s older sister in 1218. As part of the two treaties, Villehardouin’s daughter, Isabelle, would marry Charles’ son, Philippe, and Charles’ daughter, Beatrice, would marry Baldwin’s son, Philippe. These treaties made Anjou Villehardouin’s overlord and eventual heir for the principality of the Morea, and gave Anjou claim to the title of Emperor of Constantinople, ultimately forestalling Villehardouin from making his own claim to Constantinople. Anjou thus controlled half of Greece and acquired the Frankish income, manpower, alliances, and ports to support his projected conquest of Constantinople. Moerbeke must have been present, for he already knew the principals. I, Brother William of Moerbeke, O.P, confessor and chaplain to the lord pope, offer this, done with much physical labor and much tedious Latin, thinking by this work of translation to add to Latin scholarship. This translation was finished at Viterbo, 1271, 17 Kalends of July after the death of the fourth Clement, pope of good memory, the apostolic seat being vacant. On 1 September 1271, the conclave elected the absent Tedaldo Visconti, Archdeacon of Liege, as Pope -- stay with me: this is a tangent, but tremendously interesting -- Visconti was on crusade with Prince Edward, son of Edward I of England. 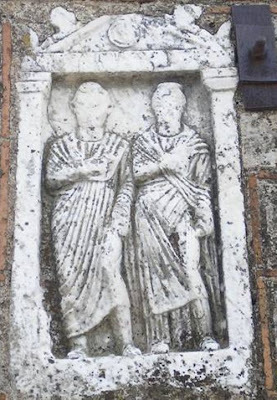 The Polo brothers had come to Viterbo, hoping the new pope would help them fulfill Kublai Khan’s request for oil from the lamp at Christ’s tomb, and for a hundred learned men. Pressed for time, the Polos returned to Venice, collected young Marco, and sailed for Acre. The Polos met Visconti in Acre; their travels and plans coincided with his own interests, but his position gave him neither the authority or status to communicate with an Emperor. The Polos left Acre on horseback, riding to the northeast. When notice of Visconti’s election reached Acre, he had first to be ordained a priest before he could be invested as Pope. With his credentials in order, he sent riders after the Polos with holy oil and letters to Kublai Khan explaining the delay. The two Dominicans whom he sent in place of the hundred learned men did not survive their assignment. Visconti, who took the name of Gregory X (1271-1276), asked Moerbeke to continue as chaplain and advisor. Gregory called for the Council of Lyons. The Council was bracketed by the deaths of giants: Thomas Aquinas before, and Cardinal Bonadventure after. 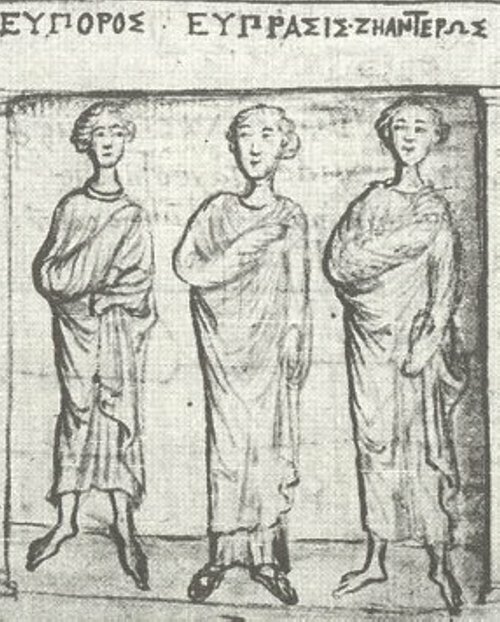 Gregory opened the Council on 7 May 1274, but the Greek delegation, delayed by a shipwreck in which half of their number were drowned and most of the luggage lost, did not arrive until 24 June. This should have been a warning to them when 1437 came around. 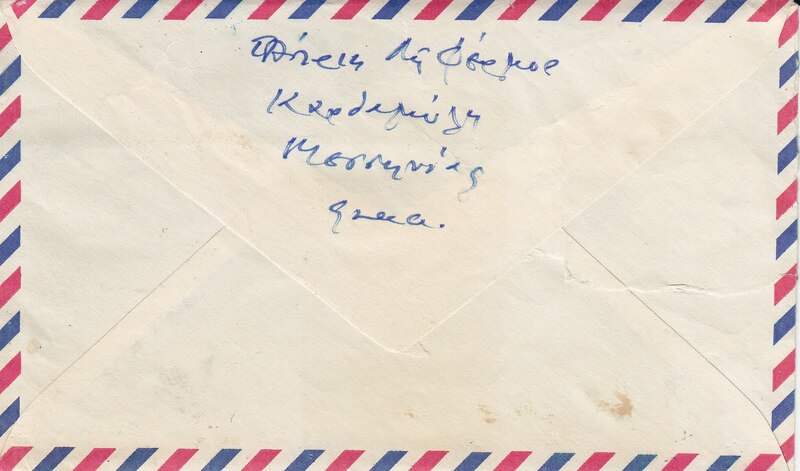 Moerbeke was prominent in the Council and on 6 July a letter from Michael VIII Palaiologos was read in which he declared his acceptance of the Roman version of the faith, and papal primacy. Gregory died on 12 January 1276, the year of four popes. The last was Nicholas II who appointed William Archbishop of Corinth on 11 November (he must have so wanted to get away from all the politicking), but he did not actually confirm the appointment until 9 April 1278. (One might note that revenues due the Archbishop during those 20 months or so went to the papal treasury.) 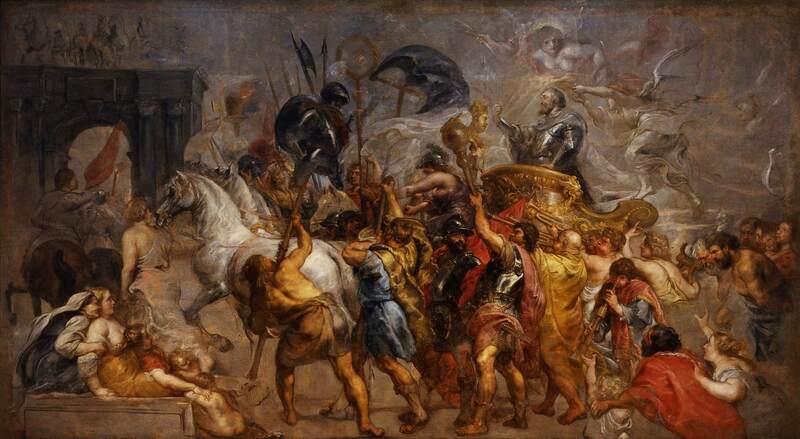 Nicholas sent a letter to William Villehardouin, commending the See of Corinth to his care. 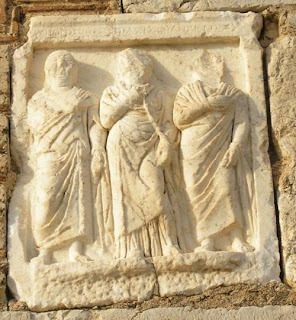 Corinth was a family possession of the Villehardouins, although William's father had granted the tolls from the Isthmus traffic as a fief to the Duchy of Thebes and Athens which had their own archbishops. The Archdiocese of Corinth supervised churches in the Principality of Achaia. William Villehardouin died on 1 May -- he probably never saw the letter -- and Achaia came into direct Angevin control. (The Argolid and Athens were not included in this.) Given the papal antipathy towards the Angevins over the previous ten years, I see Moerbeke in a unique position to be able to observe and report on Angevin actions. 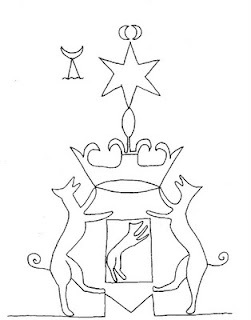 Moerbeke may have visited the Dominican houses in Thebes, Negroponte, and Modon, and -- at least because of his rank -- Nicholas II de St Omer who had married Villehardouin's widow, the Greek princess Anna. All the lines of acquaintances keep curling back among themselves. 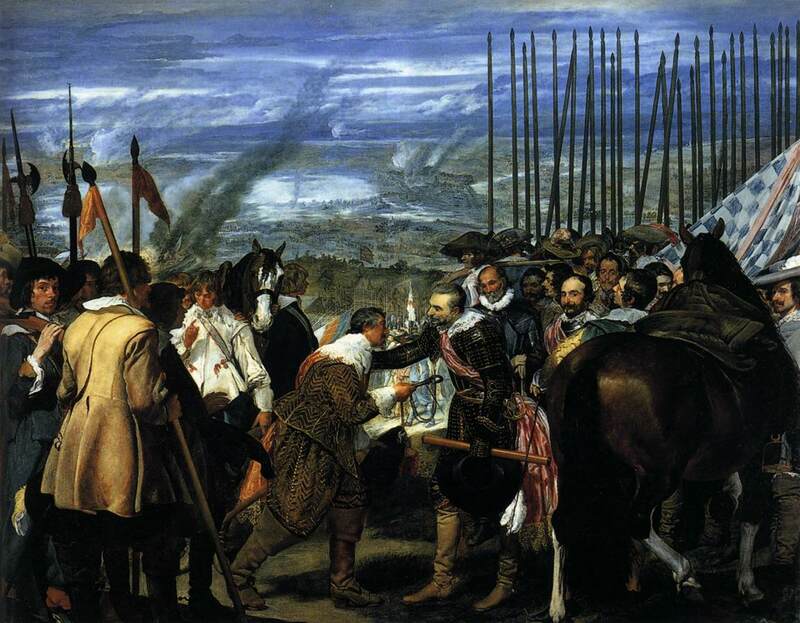 William returned or was recalled to Italy and carried out a specific mission for Martin IV. In December of 1283, he was at Orvieto, with a mission to Perugia to settle an issue involving the excommunication of the captain, counsellors, and certain individuals in the city because of “their detestible disobedience and notorious contumacy.” His diplomatic handling of the crisis made it possible for Martin to move the papal household and curia to Perugia for an extended visit. This is the most direct evidence for his diplomatic activity -- all the rest has been speculation. While in Perugia, Moerbeke apparently dictated a will to a certain Bartolomeo. The next date we have is 26 October 1286, recording the election (by the cathedral chapter of Corinth) of a new archbishop. William could have died any time in the previous 34 months, but it was probably very soon after the will.
. . . in te tunc archiepscorum Corinthiensem direximus oculos nostre mentis, quem nobis et fratribus nostris de litterarum scientia, morum maturitate, religionis honestate, prudentia spiritualium et temporalium provedentia, familiaris, experimentian noscitur approbasse. Nicholas III, 1278. William of Moerbeke's handwriting from a Vatican manuscript. The picture of the Virgin was found on the internet, on a site I cannot now locate. Pierre MacKay had the pleasure and privilege to be the scholar who identified Evliya Çelebi's own manuscript. I have asked him to recount that remarkable experience. One painless way to acquire a smidgeon of academic notoriety is to attach oneself to someone whose 400th birthday is worth remembering. I had the good fortune of doing so in 1964, even before I knew who Evliya was, and he has been my companion ever since. I was in Princeton that summer, and able to use the open stacks of the Princeton University library where, in a search for a different and at that time better known author, Katib Çelebi, I ran into a fragmentary English translation of two volumes of Evliya's great ten-volume Travel Journal (Seyahatname). I had little time to find out much about Evliya, because I was preparing for a year in Egypt then, but I was intrigued and, in August, at the 4th International Congress of Classical Studies held in Philadelphia, I found myself talking to Alexander McDonald of Clare College, Cambridge, (a Livy scholar) who knew quite a bit about Turkey, and was also intrigued. He suggested to me that if I found an opportunity to look at manuscripts there, I should not go through the official bureaucracy, but approach the doorman of the library I was interested in, and get help from him. 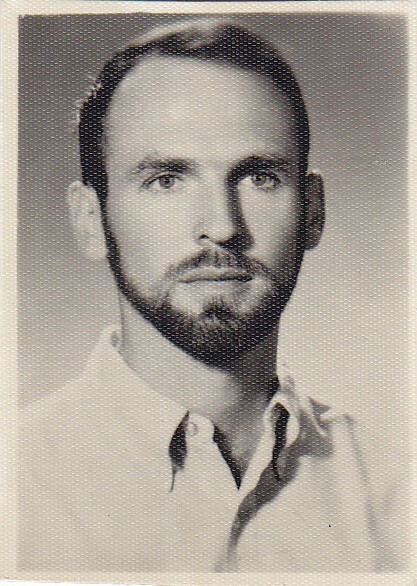 Pierre MacKay in the 60s. In February, 1966, I was granted freedom to study the manuscripts of the Seyahatname in a way that has possibly never been equaled for any scholar before or since. It was not that I was specially prepared to do this work—in most senses I was not prepared at all. All I had was the command of some rather halting spoken Turkish—it is still not good—and the experience of some important manuscript work in Classical Arabic the year before. I taught myself Ottoman by reading the introduction to an edition of the 7th volume of the Seyahatname on cold winter days at the library of the Turkish Historical Society in Ankara. (Seyahatname 7 and 8 were almost the last books permitted to be printed in Arabic script at the time of the Ataturk language reform of 1927–28.) There was a providence working here. I had three major libraries to search, the Sultan Ahmet III library in Top Kapi, the great Süleymaniye manuscript library, and the decaying University library, which had a expanding crack in the masonry running all the way down through the grand central stairway so that all the books had been piled near the center to keep it from splitting apart. I had three weeks for what I needed to do. At the Sultan Ahmet library, almost unvisited by tourists, I got into conversation with the doorman, and within the hour I was in the office of the Museum director. An arrangement was made that I would pay for tourist entry to the grounds and then go immediately to the library where I was given a long table all to myself. I was asked which manuscript of the many available I wanted, and had to say that I really did not know. "Then," the Director responded, "you should have them all," and the library staff brought out every single one. "All" was two full sets of ten volumes and several partial sets, including the one that turned out to be Evliya's own manuscript. There was no way I could do any meaningful collation and that too turned out to be good fortune. I concentrated on physical inspection: bindings, sequence of gatherings, watemarks, notes of ownership and bequest, usage of red and black ink, and almost anything but the text. 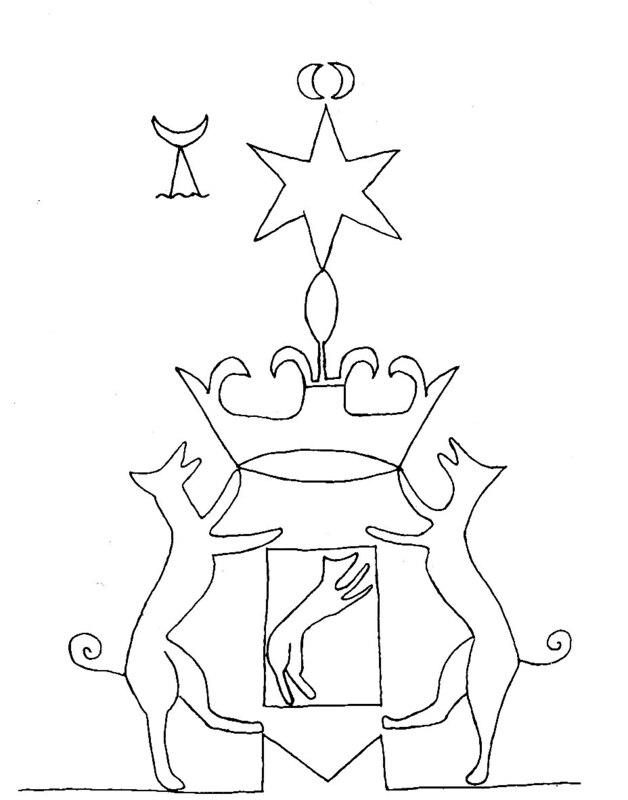 I was able to take the manuscripts closer to the somewhat opaque windows and look through pages for watermarks, which gave me the opportunity to record the unique Venetian heraldic watermark on the paper used by Evliya. When not at Top Kapı, I was at the Süleymaniye, or the University library, where the sweet, utterly gracious librarian Makbule Hanım took me in charge and found for me the outstandingly fine copy of volume 10, for which Evliya's own original is lost. 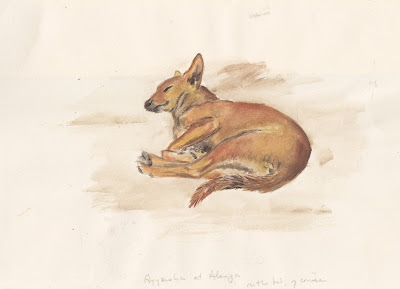 At the end of three weeks I had enough raw material for twenty lifetimes of work, and the germ of a belief that I might be able to single out one archetypal manuscript and avoid the drudgery of endless hours of collation. Close to the last day in Istanbul, when I met the Museum director again, I was asked whether I would need microfilm, and which manuscripts I would prefer. Once again I could only answer that I had some good ideas, but no sure sense of which ones I needed. The response was astonishng. "In that case we had better arrange to film all of them." I made a hasty calculation of my resources of travelers checks, gulped, and accepted this extraordinary offer, and when I took up my position at the University of Washington that fall, the rolls of film, beautifully photographed, had arrived before me. I also got films of the manuscripts in the University Library, and from Süleymaniye a copy of the Haci Beşir Ağa manuscript (which was sadly out of focus, but it turned out that it didn't matter). In 1967–68, the University of Washington gave me a generous research fund for technical assistance, and I was able to make large Xerox copies of all the manuscripts, which I carried with me in a trailer when I drove across country to take up a year's fellowship at the Institute for Advanced Study in Princeton. There was a "Eureka!" moment there—a day when everything fell into place, not slowly, but in a sort of cascade of discovery. There is no simple way of showing what led up to it, and readers in haste may want to skim quickly through what follows. I remained focused on the physical organization of the manuscript, in part because my knowledge of Ottoman Turkish was still not sufficient to read one of the richest and most variegated prose styles in the history of the language. Evliya, as Robert Dankoff, who knows him better than anyone else living today, points out, can be quite bewildering at first glance. A particular problem was disorder in in the text of book 4, which divided the surviving manuscripts into two distinct families. To get a clear view of the evidence, I hung a "do not disturb" sign on my office door and laid out on the floor a sequence of twenty or so pages from every copy of book 4 I had available. It was quite easy then to eliminate the later copies, and I was left with three sets of pages, one characterized by copious added notes written sideways in the wide margins and by other features that had led a few earlier scholars to suggest that the annotated copy might be the original. This manuscript which, for historical reasons I called S, had a fixed maximum of 34 lines per page, and included many, apparently random, areas on which nothing was written, an unusual waste of paper for the 17th or 18th centuries. The writing was consistent in size, and ran along even and regular baselines. These features were not consistent in the two manuscript facsimiles, both dated 1742, that lay on the floor beside them. The 1742 manuscripts (P and Q) usually had 34 lines per page, but sometimes crowded in more lines, which were often written in increasingly cramped and condensed letters. The notes from the margins of manuscript S could be found incorporated into the main text of P and Q and, even more significantly, when a page of S ended on a specific word, so did the corresponding page of both P and Q. The folio numbers for the three manuscripts are not a reliable guide, but the "catch-words" at the bottom of every second page (the b side of the folio) which is repeated at the top of the next page, are very consistent. (The terms for Latin and Greek manuscripts are recto and verso , but it makes no sense to call the first side of a folio of Arabic script a recto , since it is always on the left side when the book is opened.) They are an essential guide for keeping the pages in the right order before the gatherings are sewn together. That was already enough evidence to identify S as the origin of all other manuscripts, but there was even more. 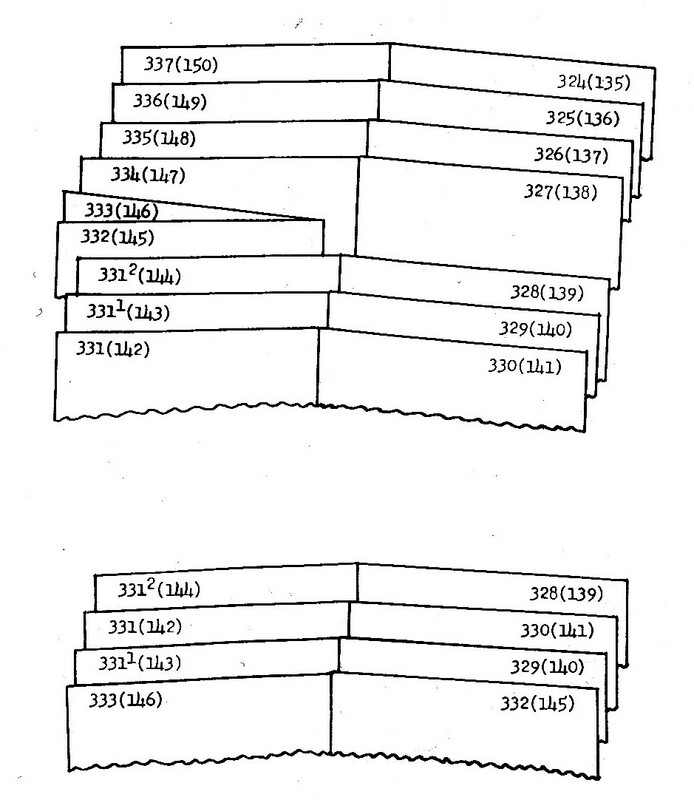 The disorder in page sequence mentioned above was caused by the insertion of several folded sheets, not in the center of a gathering, but off to one side. 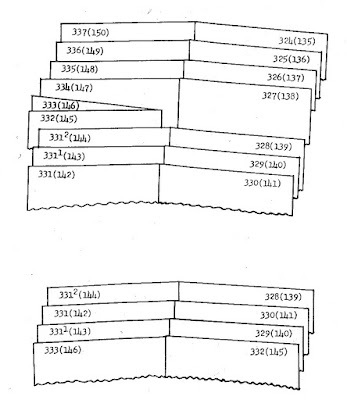 That arrangement is reflected in copy Q, but not in P, because the added folios fell out and were mistakenly inserted into the center of the gathering, and the copyist of P simply copied them where he found them. At the top margin of the migratory folios of S, someone has written sequence numbers for that gathering only, in hopes of preventing the mistake from happening again. 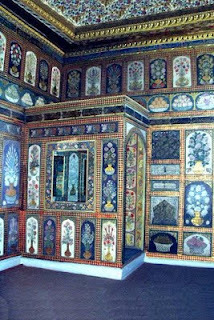 When manuscript S was conclusively shown to be the origin of all other copies, it remained only to show that it was Evliya's own manuscript, and Richard Kreutel had two years earlier made a case for that by comparing the very personal style of handwriting on the manuscript with a number of dipinti on walls and columns left by the self-styled world-traveler on monuments he visited. In the part of book 4 discussed above there is a precious note from Evliya to himself. "I must find something to fill in all this blank space." Beginning in the mid 1670s, Evliya went through his trunks full of loose notes, organized them, and passed them to a secretary who wrote out the fair copy. As soon as each volume was finished, he began emending the copy, adjusting diacriticals and vowel marks where needed, adding copious notes in the margin and sometimes even tracing over a letter when he was dissatisfied with its shape. This revision seems to have been about half completed when he died. The notes continue through volume 8, but are much sparser near the end. Because I was able to get copies of all manuscripts, even one that was dismissed as a trivial collection of extracts, I also found the short history of how the Seyahatname was put into its present shape in one immense effort at the end of Evliya's life in Cairo, and brought to Istanbul 50 years later, when three out of the four surviving complete copies were made, all in the same year. Archetype.'' Der Islam 52 (1975): 278–298. I'm going slightly off my rocker about impending calls this summer, and don't see how I'm going to do any work, so don't, please, be too upset if it's no go then: but no harm in trying (0172-73225) when you are in the area. I look forward to the Villehardouin book as I know too little about them. Please forgive tearing haste -- Just back from England, where my wife had a hip operation -- and best of luck. I was in turmoil. What do you say after you say I am so glad to meet you? Why would he want to spend any time with me? At Kardamyli I took a room, looked at the "castle," spent a couple of hours sitting on the rocky beach by his house, obsessing all the while. In the evening I drank too much ouzo and decided I would not be the visitor from Porlock. In the morning when I paid my bill, I asked the landlady if she knew him. Of course, she said, he walks by here every day. I gave her a note and a gift of books I had brought for him and went away sorrowful. I did not realize for twenty years that the woman with her was Joan, his wife. I have twice more been invited to visit in the area, and promised introductions, but both times it seemed I would be taking something that was not mine. The obituaries, and the dozens of articles over the past several years, have filled much space with his walk from London to Constantinople, and his kidnapping of the German general. Essentially, everything he did was larger than anyone else's life. But there is an unmentioned aspect of PLF that moves me deeply. In A Time of Gifts, he wrote of an extended stay in the Abbey of St. Wandrille de Fontanelle in the 1950s. Reviewers of the book have assumed that he was there to write a book, and he did considerable work on one. Few have noticed a the scattered phrases that put this time in deeper perspective: "I managed, with considerable trepidation, to explain my proposal" (16); "depression and unspeakable loneliness" (19); "having finished a flask of Calvados . . . I sat at my desk in a condition of overwhelming gloom and accidie" (22); " I slept badly and fell asleep during the day, felt restless alone in my cell and depressed by the lack of alcohol, the disappearance of which had caused a sudden halt in the customary monsoon" (28). Fragments, but I see the Abbey as his shelter while he stopped what must have been years of heavy drinking. One has only to read Antony Beevor's Crete: The Battle and the Resistance and notice how frequently PLF is cited and how rarely written about, to understand that the kidnapped general was a distraction from a war in which he saw and participated in the unspeakable. He needed to drink. Two anecdotes reflect my emotional response to him. 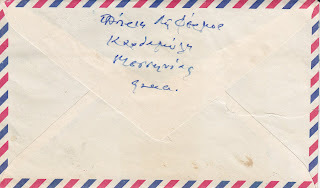 The first is from a Greek tavern owner in the town where PLF and his Romanian princess stayed before the war: "They were," he said, "so beautiful. And they dressed for dinner." Paddy told him: "You know we are very fortunate, we live in Kardamyli. We are fortunate - we have the mountains. We are fortunate - we have good food. We are fortunate - we have clean air to breathe. We are fortunate - we have the beautiful sea to swim in." "Yes, Paddy, the mountains, the food, the air and the sea," said the young man, nodding in agreement. And then Paddy said to him: "And for all these reasons and more, we may just forget to die." Obituaries from The Guardian & The Telegraph. Cyriaco has not been a guest here for too long so I have invited him back for a brief visit. 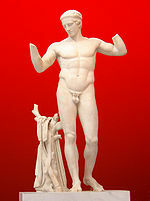 I think we make a great many assumptions about Cyriaco and his friends when it comes to antiquities. He -- and they -- were making discoveries with great excitement, but they were not seeing what we see when we look at the same things. 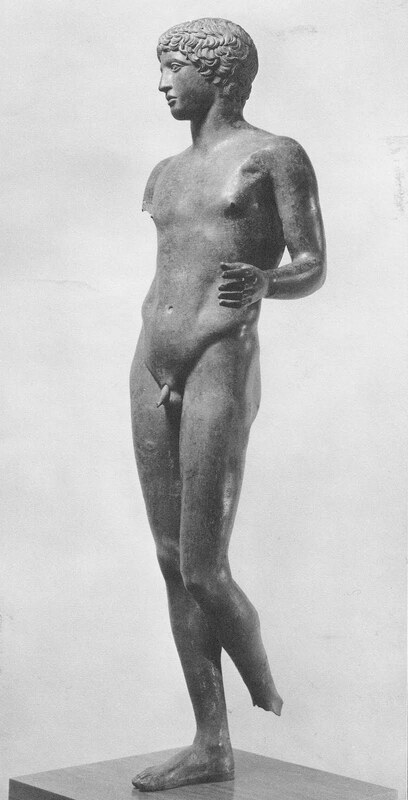 Polykleitos was a sculptor from Argos of the late-fifth, early-fourth century. A bit too ripe for my taste, but the Romans loved him and fortunately made a great many copies so we have some idea of what his work looked like, even if what we see has an Italian accent. 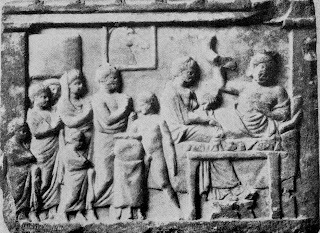 On 23 March 1448, Cyriaco's very good friends, the Nauplion merchants Pietro Rangano and Joannes Bendramon, took him to Merbaka to see "images of outstanding beauty that had been removed in the past by Christians from a very old temple of Juno, thought to be from among the masterpieces of Polyclitus, to adorn later churches of our religion." The church under consideration is the lovely 13th-century Church of the Dormition of the Virgin at Ag. Triada, which is the modern choice for a non-colonial name to replace that of Merbaka. 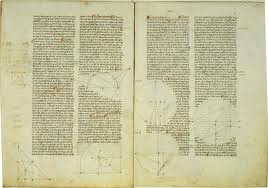 This is what Cyriaco saw, rather, his drawings and what we now see. 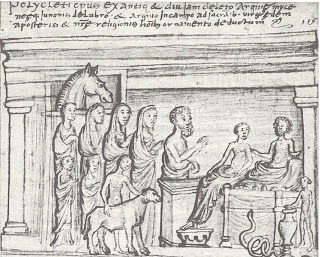 Cyriaco and his very good friends seem to have been blissfully under the assumption that any sculpture found near Argos must have been carved by Polykleitos, the great sculptor from Argos. Therefore, Cyriaco pronounced, these late, conventional Roman tombstones are images of outstanding beauty. Discovering Polykleitos made him very happy, and that is good. But, seriously, he had by that time seen hundreds of Roman tombstones, he had seen some pretty good sculpture on Samothraki and Paros, and he had seen the metopes, triglyphs, and most of the west pediment of the Parthenon several times, and those really should have figured into his estimate of what he was looking at on the church at Merbaka. The hawthorn under my window, my window top right. Western Tanagers hunt insects just below. The first entry was written in the garden nearly three years ago, after a heart episode that required the emergency room, and now my partner has had his own heart episode with the emergency room and a week of hospitalization. He has come home with experimental medications and every expectation of getting back to a normal life. Work -- writing -- was impossible for the week. When not at the hospital I was in the yard acting out my anxieties in war with the weeds. Most of these blue flowers, scilla, are weeds. Some are forget-me-nots which are probably weeds, too, but they are fragile and shallow-rooting, while the scilla pushes its bulbs down to a foot or more, beyond reach of normal digging tools, where it multiplies in private. The waves of blue in the shade are quite lovely at first and have a delicate scent, but as soon as the blue begins to fade we pull and dig as much as we can. We do no damage. There will be many more next year. This feathery plant, stinkweed, is also a weed. It is an imperialist, growing like a miniature banyan tree, fortunately shallow-rooted. It has pretty pink flowers, and when pulled, gives off a strong nutty odor. I'm not sure why I remove it, other than to reduce the clutter. It aggresses in tandem with bindweed, which has a web of long white worm-like roots that tunnel through the whole yard. Removing it is something like the technique for stripping veins. Google identifies another plant as stinkweed, but that is what it is called in this neighborhood. Weeds aside, we are also rich in poppies. The giant poppies have at least 20 large buds. The area where most of the Greek poppies grew last year -- and where I put many many seeds -- has exactly two plants, while the majority of the diaspora has migrated down by the street into the province of the Shirley poppies. There is more of the diaspora on the next block, and we have found a colony on the road in the park. The poppies lay claim to their own provinces. The tangerine California poppies have taken over the south side of the house, while the pale lemon Icelandic poppies are all over the back yard and in the interstices between the paving stones under the arbor. It has been very cool this spring, and the roses are slow, but the Abraham Darbys have a fine supply of buds. Just Joey nearly died last year but there are two strong buds that will open in another couple of weeks. The rugosas have been magnificent. The pale yellow down by the street that I threatened two years ago for non-performance has at least 30 fluffy blooms, and the magenta beside it has more. Thomas Merton wrote: "The times are normal and good and permissive of joy."